Coupon Description: Today only, save $25 on this stainless steel pressurized growler from GrowlerWerks. This is the all new uKeg 64 oz pressurizable growler from Growler Werks. This beer growler is built from double walled vacuum-insulated stainless steel. This Growler Works homebrew growler is basically a miniature keg that will keep your beer fresh and cold anywhere. The growler is fitted with a CO2 regulating cap and tap handle. The pressurized growler kit includes two 8g CO2 Cartridges, brass handle and integrated pressure gauge. This growler makes for a great gift for the beer lover in your life! Here are some of the features of this new stainless growler. Mounted sight glass allows you to see how much beer you have left. 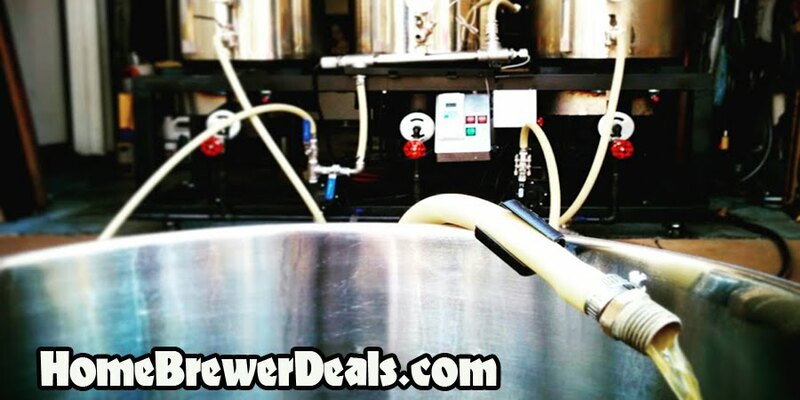 Home Brewing Black Friday Sale Going On Now!